Sixteen Person Steel Box Lockers reduce personnel theft, increasing security. 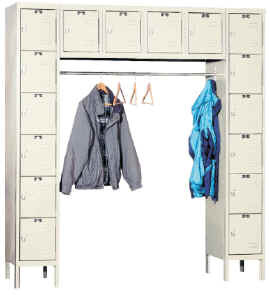 High strength steel lockers are specifically designed for use in school, retail, commercial and industrial applications. Great for employee lounge and break room areas as well as industrial plant employees. Opening Sizes: 12" x 18"